Did you know some car keys cost thousands of dollars? For those who think that paying an average of $200 for car key of Ford, GM, or Honda is too expensive, you may know there are car keys and key fobs that cost thousands of dollars. Yes, you heard that right, thousands of dollars! This list is showing some of the most expensive car keys and auto key fobs in the world. While some keys can cost up to $1000, other keys can cost over than $10,000 or $20,000. We would like to introduce the world of technology and luxury vehicles. This is all about the finest in details of a luxury car and the finest in the technology of computer chips and key fobs that put into a small circuit board and electronic accessories. Let’s take a Porsche, for example, you can get a key made that looks like your own Porche vehicle. You can special order a costumed key that can be unique in its kind, and you are the only one who has it. While women love gold, men love cars, that is why you are likely to see upgraded newer cars on the road at all time. 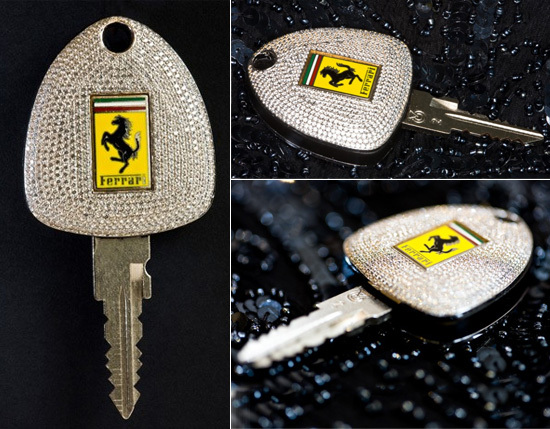 These are the most expensive car keys in the world, but as we all know, the sky is the limit. 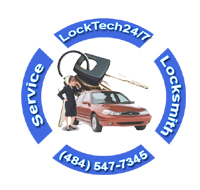 Automotive car key replacement can sometimes be costly, so please keep your car key as close as you can. Today, most of the car keys come with a computer chip that needs to be programmed to your vehicle. BMW i8 Futuristic Car value is $150,000 while key value approximately $1000-$1500. The new generation of keyfob has been introduced to the public in 2016. BMW smart keyfob that doing almost all features of the car. This is the new BMW 7-Series key. It connects to the computer of the car and transfers information on the go, such as petrol level, car temperature, and a load of other information. The key fob is equipped with 2.2 inches LCD touchscreen. In addition, it even lets you remotely park the car while you’re not even sit in it. 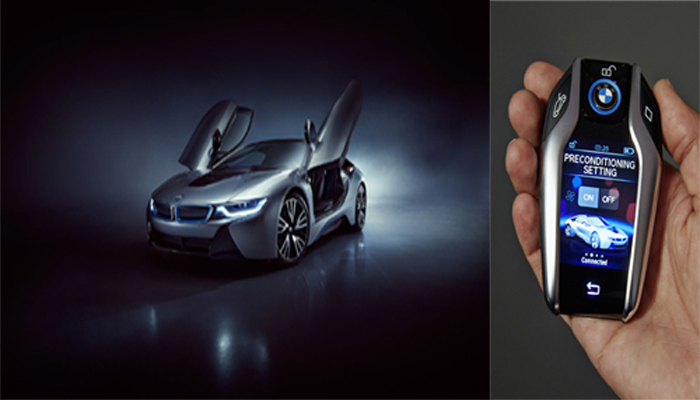 So, for $1,000 or more you could get the future car key of BMW. The i8 keyfob is different than ordinary keyfobs in so many ways, that it’s hard to imagine not getting caught up on what it can do. Pagani Huyara is a product of the Italian supercar manufacturers, Horacio Pagani. This car cost approximately $1,1 million, while the key fob of approximately cost $3700. Unbelievably, the Pagani Huyara key is made in the shape of the actual car and created it from the same metal as the bodywork of the car. 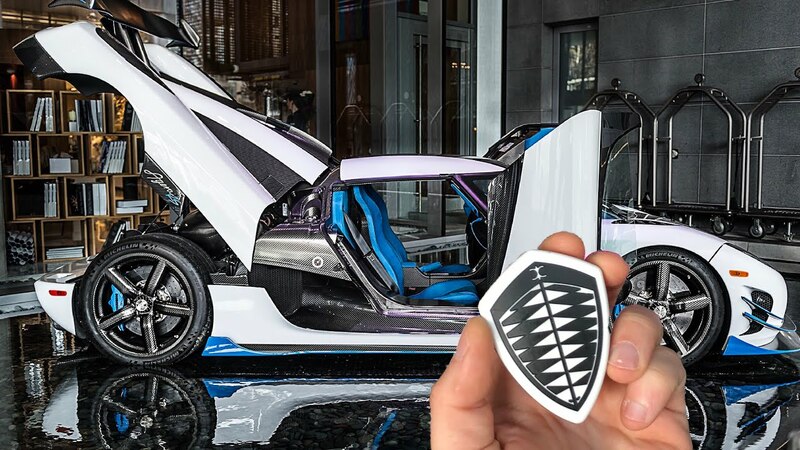 The shape of Pagani key is like a miniature model of the supercar. Amazingly, this keyfob separates into two parts. One part of the keyfob being the car key and the other part is an actual USB drive for the audio system of the car. Bentley, an expensive toy that is almost every man’s dream. The luxurious vehicles of Bentley are run at a price of over $200,000. 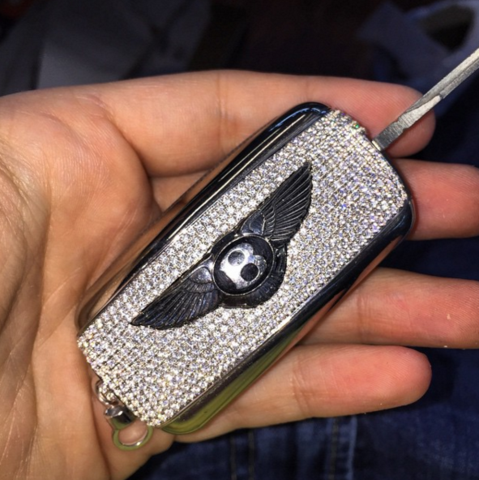 Alexander Amosu has designed most expensive car keys, including the Bentley key with a total of 101 diamonds on the Bentley famous wings. With attention to details, Alexander Amosu designed the unique style of this Bentley key. All 101 diamonds on the key spread over the surface of the Bentley wing design. The weight of the diamond is 1.09 carats. This luxurious key goes for approximately $7800. With a market value of over $250,000, Ferrari is one of the most popular and loveable sports cars. Surprisingly, the company of Ferrari still chooses to use a traditional key, over the electronic key. This Ferrari key is simple but highly customized. Camael, a London jewel designer, has installed 1160 diamonds in the total weight of 7 carats. Thanks to the diamonds that are used in its making, this key becomes very expensive. This customization has been available for other luxury car brands as well but is known to be a first of a kind meant for Ferrari cars. While a traditional Ferrari key value is $200-$400, this key value is approximately $24,000, and if you thought its price was beyond the reach of the poor, be advised otherwise. With a market value of $310,00 and 715hp, Aston Martin fly high. Only 100 pieces of this incredible electronic watch key fob have been released to the public since 2008. This key valued $34,000, but few Aston Martin owners claimed they even paid $47,000 to make a spare key. 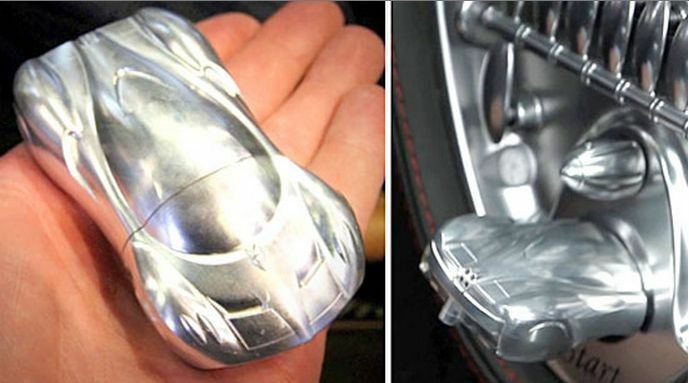 This is completely out of the world car key! It has an amazing design and it contains many features other than just displaying time. You can see this watch in James Bond movies. The Jaeger-LeCoultre watch is a playmaker in any event with friends and family. 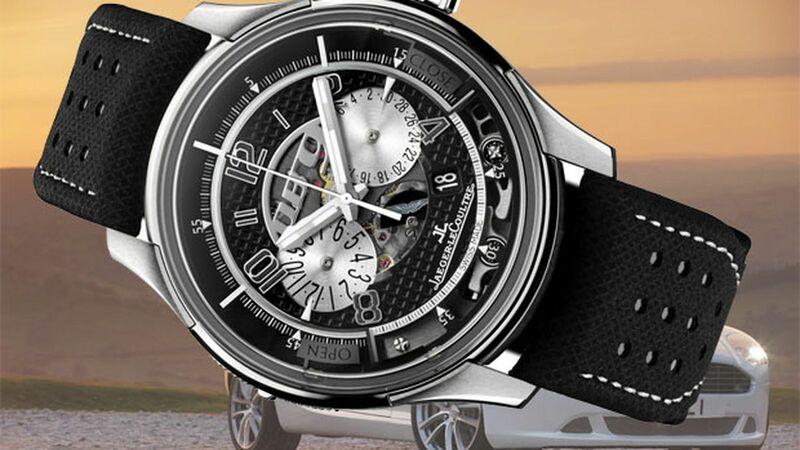 Not just this watch opens the doors of your Aston Martin DB9, but it can give you a load of information with its very responsive surface to touch and pressing specific areas on the watch. 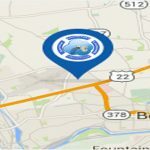 As a matter of fact, you can do so much with this key, including flaring up the headlights to locate your car in a busy parking lot, and much more. Think about the idea of the watch on your arm, with this kind of car key, you never get locked out of your car. You simply can’t forget it inside the car. Amazingly, Aston Martin and Jaeger engineers managed to merge fashion and cutting-edge technology of car chip key to create one of the most expensive car keys in the world. 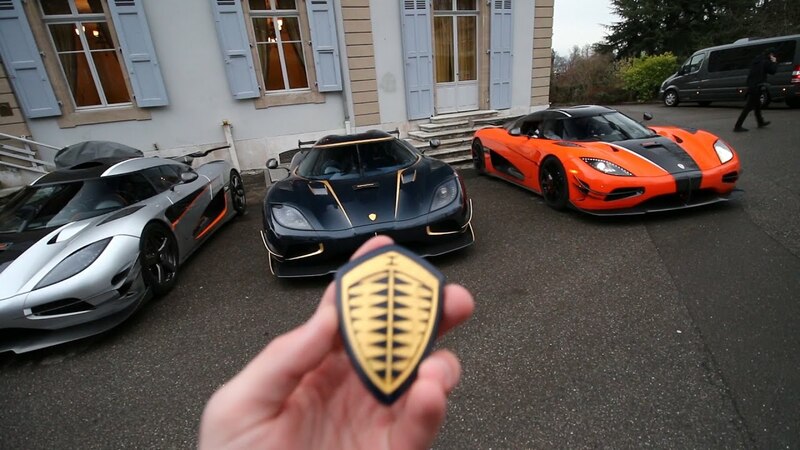 Koenigsegg Agera key fob is one of the most unique and incredible car key fob in the world. A car value of 2.8 million dollars must have a unique costumed key. Koenigseggs gave it a shape as of the Swedish supercamaker’s logo. Needless to say, this key is the most expensive car key on the market today. There are 40 carats of diamonds on this exclusive key which isn’t a factory option just yet. There is no official price for this car key, but this key has been estimated to be worth approximately $250,000. This key is the only of its kind, at the moment. This is indeed, the most expensive car key in the world.